Dr Mike Wilson is Dublin City Coroner, investigating violent, unusual, unexplained or unnatural deaths. One case worries Wilson a lot. Back in 2009, Patrick Dowling was found hanging in woodland. There was an initial flurry of police activity that ended with the autopsy result: suicide. After studying the file Wilson is convinced someone was involved. He believes Dowling was murdered. 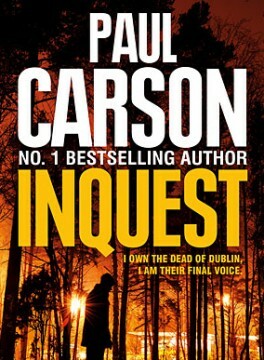 Inquest is the story of a city, its coroner, his court and one suspicious death. Listen to Paul discuss Inquest in detail here. Homicide, suicide, death by misadventure, death by medical negligence, burns, drowning, drug overdose, electric shock, surgical shock, hit by a train, run over by a bus: I deal with them all. And a lot more besides. I’m a doctor but my charges don’t speak to me. None of them complain about stomach cramps, headaches, sore throats or dizzy spells. I don’t check their blood pressure, inspect their skin and nails or examine their eyes. Yet I know more about them than they knew about themselves. More than their family and friends. I know when and where they were born. How and where they lived. And how and when they died. I struggled against overwhelming tiredness. Sometimes these images haunt my dreams. Like ghosts. this work too distressing. It’s not that she doesn’t love me because she says she does and I believe her. And I love her more than I can ever express. But I have weighty responsibilities. My official title is Dr Michael Wilson, Dublin City Coroner. I own the dead of Dublin. I am their final voice. 2. Patrick Dowling was found hanging in woodland on November 30th 2009. The police investigation into the twenty-eight-year-old man’s death ended as soon as the autopsy result was announced. Suicide. They made a few inquiries, talked to close friends and family, but not with any real purpose. As far as they were concerned the case was closed. Then, tragic circumstances forced the inquest into my office, and after studying the file for some time I came to a very different conclusion. Dowling had been murdered. My role as coroner is to investigate events like this. I inquire into unusual, unexplained, violent or unnatural deaths. I ask the who, when, where and how? And then I decide what happened. The state must have an understanding on strange fatalities, and families must have closure. paperwork. I’ve another name for the court itself: ‘the chamber of ghosts’. I’ve a vivid imagination. 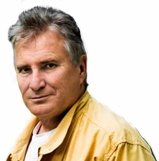 “When Dowling was found he’d been missing less than twenty-four hours.” I said it as if I was going over the inquest file for the first time. I looked across and Matthews nodded. Matthews was also the officer in charge of the search for Dowling. Mobile phone tracking technology had led his team to a deserted forest on the Dublin/Wicklow border. I swivelled in my chair, then drummed my fingers on the desk in front. Matthews showed no emotion. Big, neutral face. “So that’s why you moved so quickly,” I pretended to accept this account. I took a bite of a sandwich. It tasted lousy. I inspected the packaging: it was laced with enough additives to bring me out in a rash and give me heartburn. I pushed the snack to one side and flicked at another page from the dossier. Again, I made it look like I’d just come to it afresh. In fact this was my third assessment. At the end of the first reading a number of things jarred. Suspicious bruising on the corpse. Conflict between toxicology results and Patrick Dowling’s behaviour.